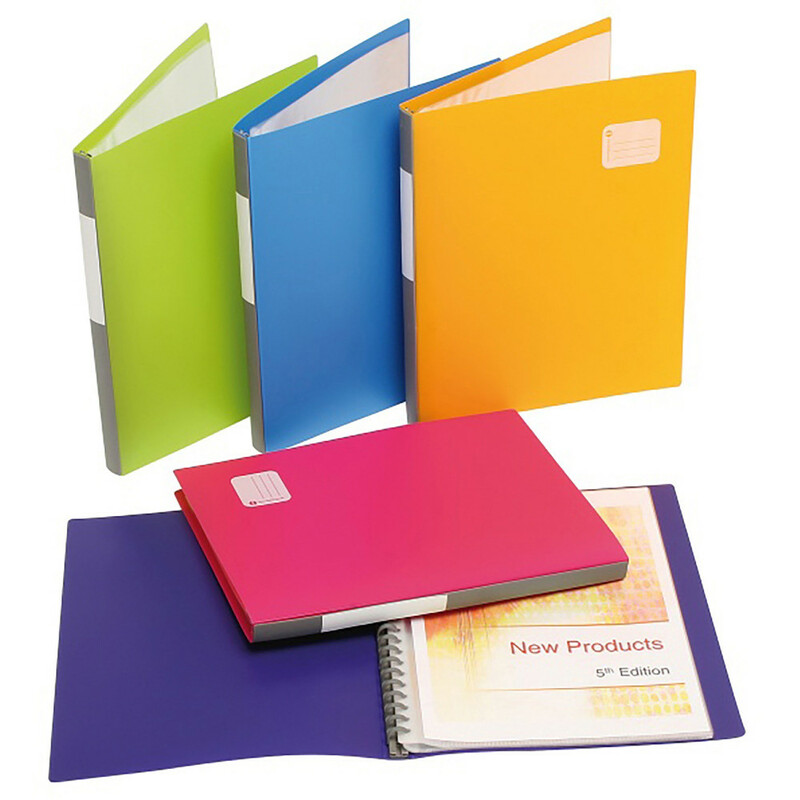 Concealed refillable spiral spine located on the inside of the display book for a more professional presentation. Features write on spine labels. Rigid spine and covers provide durability. Assorted colours include: 4x blue, 3x lime, 2x pink, 2x purple & 1x orange.